Let us take care of your pest control problem once and for all! Call your Top Rated Local® pest control company today! If you’re experiencing a pest problem in El Dorado Hills, make sure you know who to call for help. 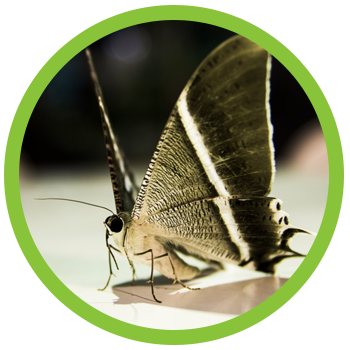 Earthwise Pest Management specializes in a method of pest control called Integrated Pest Management. Rather than simply spraying the current infestation with harmful pesticides, we provide a thorough solution that actually prevents future pests from entering your property. Keep reading to learn more about our pest control services in El Dorado Hills! Earthwise Pest Management has been serving the community of El Dorado Hills with superior pest control services for years, and in that time we have learned what methods work and which do not. We are thrilled to offer an effective, long-term method of pest control called Integrated Pest Management which limits the use of pesticides while offering pest management solutions that actually work to prevent future infestations. Don’t believe us? Check out our 200+ 5-star reviews and you’ll find out why when it comes to pest control, El Dorado Hills residents trust Earthwise. If you have pests in your commercial building, your employees, customers, or clients will notice. Whether you own a restaurant or an office building, whether you have big rats or little ants, you need to treat your pest problem sooner rather than later if you want to keep those who frequent you commercial space happy. If you have pests in your home, know that we can help. Whether it’s mice, rats, termites, bed bugs, spiders, moths, silverfish, ticks, or some other creepy crawly, let us know and we’ll take care of it. Our pest management method involves finding why the infestation is happening in the first place and eliminating vulnerable areas that might attract pests to your property. By doing this, we can get rid of the current infestation while preventing future pests from entering your home. Through this, we can truly offer a long-term residential pest control solution rather than simply spraying pesticides and waiting for the pests to return. Because so many homes in this region are surrounded by natural wooded areas, rodents are a major problem for homeowners in El Dorado Hills. Rats and mice seek shelter from the rain and cold inside of your home, and once they realize they have warmth, food, and water there, they never leave. Our El Dorado Hills rodent control specialists can get rid of your rodent problem once and for all by performing a thorough examination of the home and the surrounding landscape to find why and how rodents are entering your home. Termites can cause a homeowner tens of thousands of dollars in damages. Unfortunately, termite infestations often go unnoticed for years or even decades. Not only does this damage hurt your wallet, but it can also become a physical hazard as the very structure of your home is compromised. Termites are hard to detect unless they are currently swarming (leaving their usual hiding place in the walls to swarm your home during mating season). For that reason, it is important to have regular termite inspections to ensure your home is not currently experiencing a termite infestation. If you haven’t had a termite inspection in the last few years, make sure to schedule one sooner rather than later with our El Dorado Hills termite control team. No one wants to discover they’ve been sharing a bed with a parasitic bug. But unfortunately, that’s the case for many people. Bed bugs can be found in the cleanest of homes and often hitch a ride on your luggage or clothing from airports, hotels, movie theatres, buses, and any other shares community space. If you notice any of the signs of a bed bug infestation, make sure to call your Top Rated Local® pest control company in El Dorado Hills, CA. For our bed bug services, we use heat treatment which is the safest and most effective method of bed bug treatment and it doesn’t involve using harmful chemicals where you and your family sleep. Whether you like it or not, controlling pest infestations takes a lot of time. On the other hand, pest control products have to be used in a timely manner in order for them to be effective in protecting your home. If you are trying to complete this process on your home or business, it isn’t hard to forget not only when you have to retreat, but also that you have to retreat at all. Pest control companies like Earthwise monitor and report every single time they spray and they also know when the timing is right to retreat the area before the previously applied treatment stops working. Using pest control products will always come with some risk, regardless of which products are being used. Not only have the staff at Earthwise been trained on how to use pesticides safely but we, just like every other pest control company, are regulated by state and national laws which help to protect non-target animals from exposure to the insecticides we use. Whether you are a homeowner or a business owner, when you use our services, you can feel comfortable and confident that your space will remain safe for others to occupy. When you hire an El Dorado Hills pest control company that is as experienced as Earthwise, you get to have the advantage of having a pest control expert with a ton of knowledge on your side. Not only are we able to effectively eliminate bugs and rodents from your home, but we also pride ourselves on being able to service our customers by simply being a wealth of knowledge for them about all of their pest concerns. Whatever you need to know, we are happy to help! The above are just a few of the specific pest control services we offer. We, of course, offer general pest management services for any creepy crawlies you might experience including spiders, moths, ants, silverfish, cockroaches, mosquitoes, wasps, ticks, and more. Whether you are experiencing a specific pest in your home or commercial building or you are finding more bugs in your home than you feel comfortable with, give us a call. As your El Dorado Hills pest control team, we are here to make sure your pest problems are taken care of.